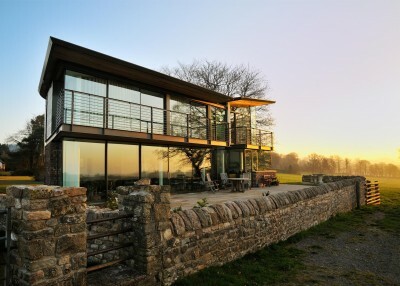 Carreg a Gwydr, (‘Stone and Glass’ in Welsh) is a private residence that occupies a secluded location with an exceptional vantage point offering 270º panoramic views over an Area of Outstanding Natural Beauty covering the Wye Valley, Severn Estuary and South Monmouthshire. 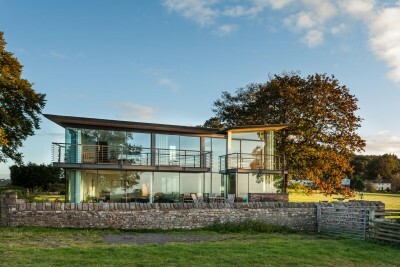 The design, which is a replacement for an existing dwelling, aims to achieve a generous sense of space within an external volume restricted in scale by AONB planning policy. 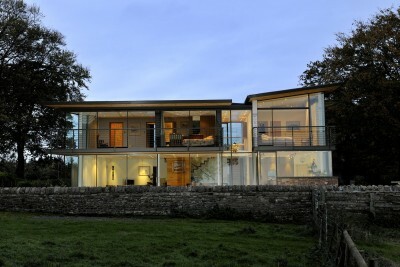 A double height glazed space unites two distinct wings within an L-shaped plan. 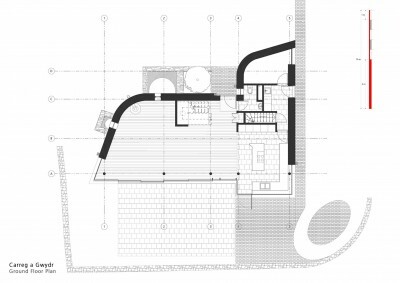 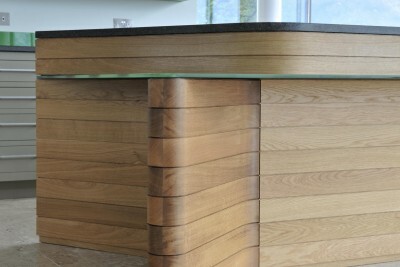 The design seeks to contrast solidity with transparency. 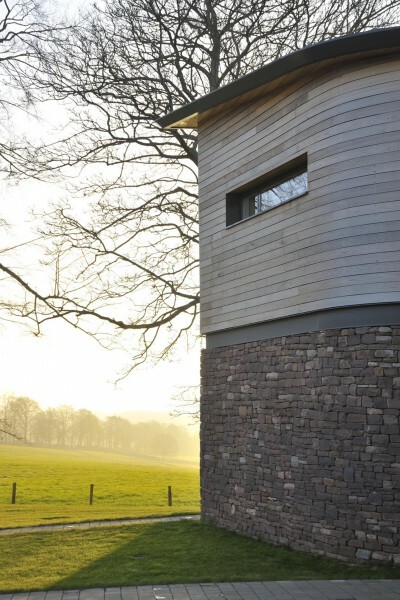 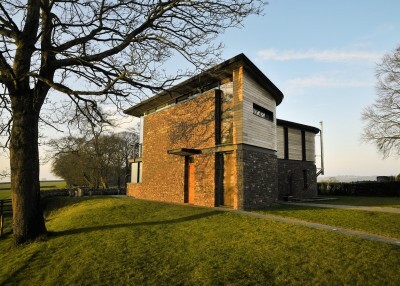 Gently curved stone walls on the northern elevations wrap around the building and echo the surrounding agricultural landscape. 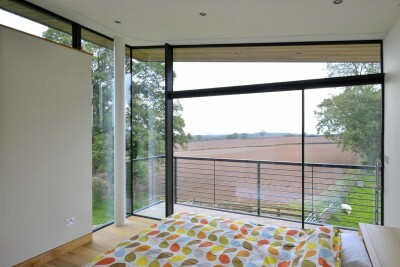 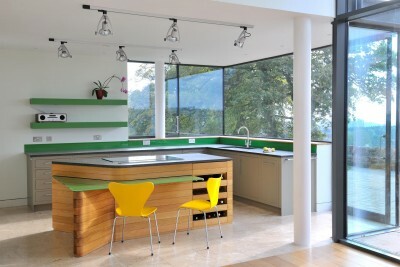 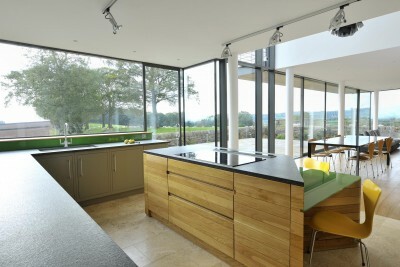 Slim framed floor to ceiling glazing provides unrestricted views over rolling farmland to the south. 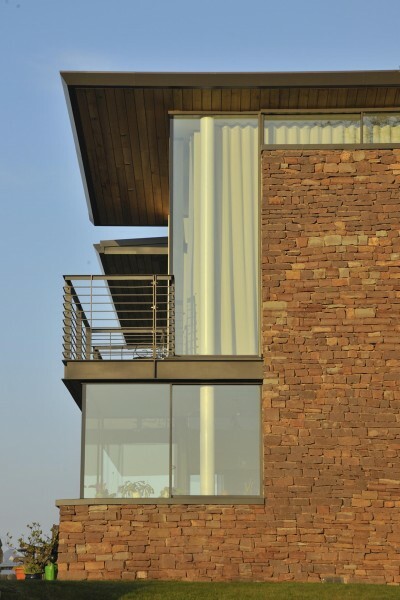 Overhanging balconies provide solar protection for this transparent south elevation. 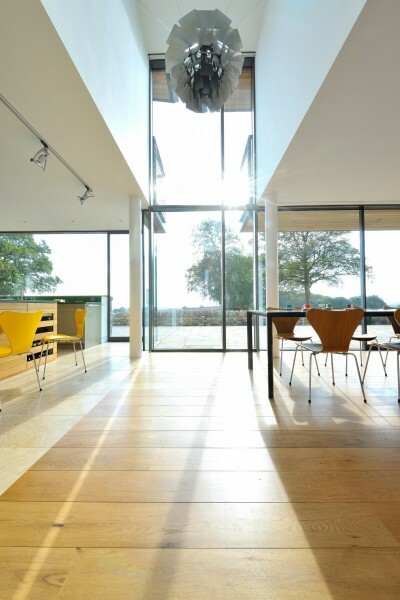 An open plan ground floor layout incorporates a double height volume overlooked by a mezzanine, and benefits from a dramatic sense of light and space.